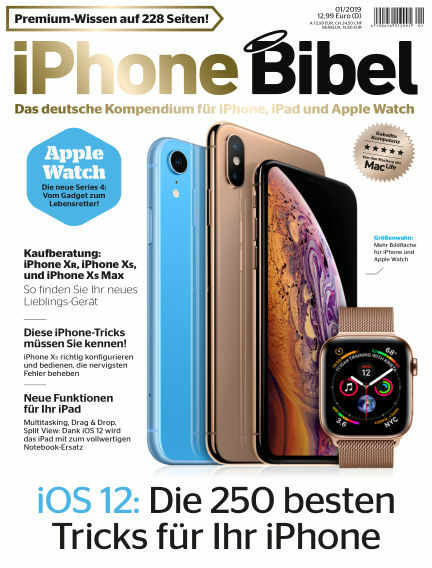 In this issue of iPhoneBIBEL : Die iPhone-Bibel ist das komplette Handbuch für Ihr iPhone: Vom iPhone 5c und 5s bis hin zum neuen iPhone 6 und 6 Plus erfahren Sie bei uns alles, was Sie zu Apples Smartphone wissen müssen. With Readly you can read iPhoneBIBEL (issue 01.2019) and thousands of other magazines on your tablet and smartphone. Get access to all with just one subscription. New releases and back issues – all included.